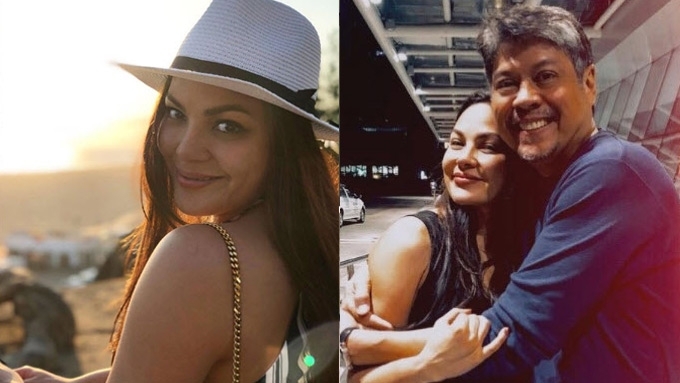 KC Concepcion returns to Manila in time for stepdad Senator Kiko Pangilinan's birthday celebration. The daughter of Sharon Cuneta and Gabby Concepcion wrote a sweet birthday message for the senator, thanking him for being one of her father figures. KC captioned in her Instagram photo, "Happy birthday, dad, I hope you like the book on health & longevity because with the knowledge, science & FARM that we have today we have no excuse but to go, grow & GLOW!!! 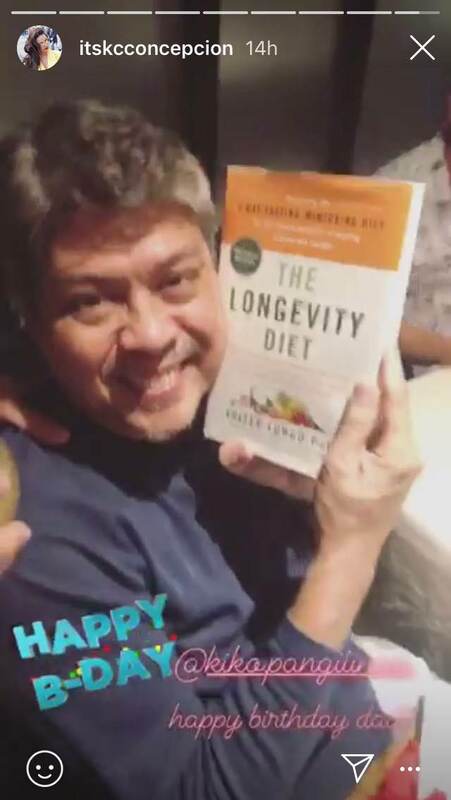 "Ok but on a more serious note [I love you] @kiko.pangilinan & thank you for choosing to have me in your life 24 years ago..."
The book KC referred to was her birthday gift, "The Longevity Diet," written by Italian-American biologist-author Valter Longo. In her Instagram Stories, KC told Senator Kiko, "May you live long ! Take care of your health! Health is wealth! Happy birthday!" Senator Kiko Pangilinan celebrated his birthday yesterday, August 24.